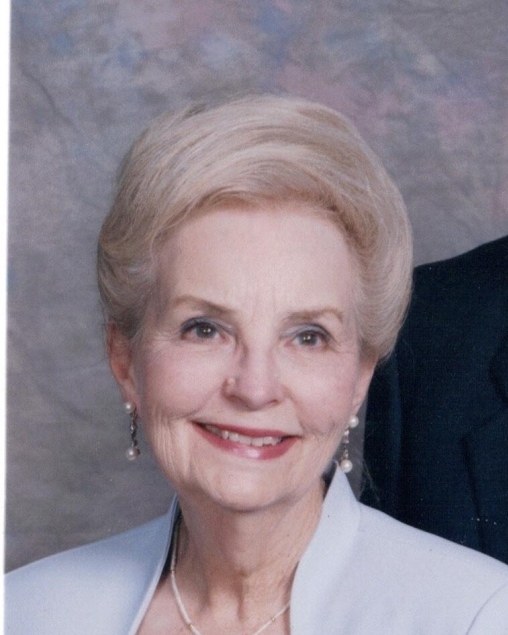 Betty Healy Hotard passed away on Saturday, April 6, 2019, at the age of 93. Preceded in death by her beloved husband Julian Eugene “Jay” Hotard. Mother of Dierdre Hotard Pecquet, Giselle Hotard McCune (the late Daniel McCune) and Jay A. Hotard (Sherry Duhe’ Hotard). Grandmother of Meredith McCune Alvarez (Christopher), Lawrence D. McCune (Meghan), Hilary Hotard Mauro (Joshua), Andre’ A. Hotard and Angela Pecquet Calamari (Kevin). Also survived by 5 Great Grandchildren and 2 Great-Great Grandchildren. Daughter of the late Leslie J. Healy and Ruth Duncan Healy. A native and longtime resident of New Orleans, Betty was a graduate of Newcomb College with a major in Fine Arts and member of Phi Beta Kappa Honor Society. She was a teacher at St Louis King of France and Archbishop Chapelle High School. She enjoyed the opera and ballet and was active in the Children’s Carnival Club. Relatives and friends are invited to attend the visitation and Funeral Mass at Greenwood Funeral Home, 5200 Canal Blvd. on Tuesday, April 9, 2019. Visitation will be held from 11:00 am until time of Mass at 1:00 pm. Interment will follow in Greenwood Cemetery.